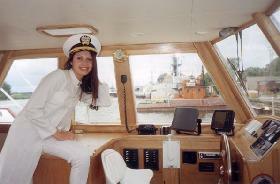 The boat was built in Riga Latvia in 1999 for Gary Olson who named it for his deceased wife. Gary died in 2002 and the boat was abandoned at Drummond Island, Mich. The boat was built to plans from Bruce Roberts by the Put Vijini boat yard with much of the equipment sent by Gary to be installed. 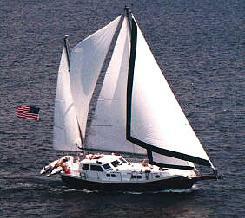 This is a similar boat under sail. 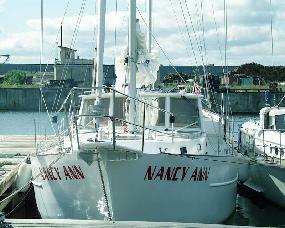 These are some pictures from the boatyard where this boat was built it may be this boat or one very much like it.